A building’s foundation is unquestionably its most important component. As the base of the entire structure, a foundation is literally what keeps a building upright and standing. The very word “foundation” has a weighty connotation about it, having woven its way into popular culture and our everyday vernacular as a term that’s representative of a person’s character, morals and integrity. Foundations are what define how a building (or maybe an individual) will perform going forward. Without a firm foundation, there’s no hope for a successful future. As you might expect, the extreme importance of proper foundations in relation to construction has advanced over the years, improving to meet the increasing demands of extremely large structures and highly complex engineering demands. As high tech and advanced as the piling industry has become, you might be surprised to learn that piling itself is not a new technology. In fact, it’s beginning goes back almost 200 years to the mid nineteenth century. The very first helical style piles were invented by Alexander Mitchell, an Irish builder and brick manufacturer. Among many interesting facts about the man behind helical piers, the most fascinating might be that he was blind. His eyesight, which was always weak (likely due to a bout with smallpox that Mitchell has as a young child) became increasingly bad to the point that by age 16, he was no longer able to attend school because he was no longer able to read. What Mitchell didn’t lack, however, was ambition. At age 20, he borrowed £100 from his brother to start up a brick manufacturing business. The company was so successful that it was in operation for more than 30 years, with Mitchell expanding the business to include construction and development. 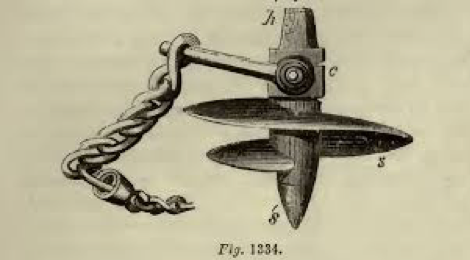 The humble beginnings of helical piles (also known as screw piles) originated with a demand for secure and effective mooring techniques for ships and tankers. Mitchell came up with a basic screw pile design for mooring boats that would eventually become the roadmap toward the design of helical piles for foundations. Mitchell’s mooring equipment was hugely successful in the muddy and sandy river bottoms of England. Recognizing the potential of what he dubbed his “screw pile” design, Mitchell applied for a U.K. patent on it – which was granted in 1833. After the patent was granted, Mitchel set about building the first screw pile foundation lighthouse at the mouth of the Thames River. 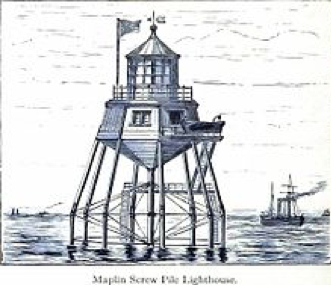 Despite the success of Mitchell’s design for mooring purposes, there was a considerable amount of skepticism over helical piles for structural use, and the foundation of what would eventually become the Maplin Sands lighthouse was left in place for two whole years simply to observe and evaluate its stability. During this time, the Lighthouse Board in the U.K. opted to allow the start of a second screw pile lighthouse – the Wyre lighthouse in Morecambe Bay. The Wyre was actually finished first, but Mitchell’s original project, Maplin Sands, did get completed and was lit for the first time in 1841. Over the course of the 50 years, more than 100 screw pile lighthouses were built along the east coast of the United States and in the Gulf of Mexico. The success of helical pile foundations in silty soils under various bodies of water led to further use of helical piles in marine environments in the U.K. and across western Europe, including the construction of countless bridge and oceanfront piers. 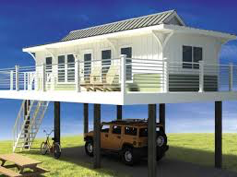 Later, helical pile technology would be extensively used for stilt foundation beachfront and bayou homes that are commonly seen across the southeastern United States. Patent applications for helical pile technology quickly piled up in the United States thereafter. After its inaugural era in marine foundations, helical piles moved inland to the agricultural industry. From roughly 1878 – 1931, there was a rush of patents for helical pile technology related to fence post applications, irrigation systems, and scientific plant and soil research endeavors across North America. Next came the Utility era – a period of time spanning 60 years that saw helical pile technology make leaps and bounds in terms of its uses and capabilities. From 1920 – 1980, patents for guy anchors, tower legs, utility enclosures and pipelines were the mainstays of growth and advancement within the industry. In 1985, A.B. Chance, a deep foundations company in Missouri trademarked the name “Helical Pier” as a way of promoting the technology for load bearing and compression applications. Since that time and leading right up to the present day, many patents have been issued in both Canada and the United States for helical pier technology applications under retaining walls, for underpinnings, in sound walls, and with numerous types of structural foundations. Helical pile technology is undoubtedly one of the most significant foundation developments of the nineteenth century. Its capabilities and capacity for load bearing paved the way for the construction of large-scale structures around the world – structures that simply wouldn’t have been possible to build with any other type of foundation. Some of the earliest built lighthouses that employed helical piles for their foundations are still standing today, which is a great testament to both the science behind the technology as well as the materials and workmanship it took to build them. Today’s helical piles are lightyears ahead of their beginnings in the U.K., with great advantages that make them a top choice for a variety of construction projects in an endless number of environments. Relatively easy to install, immediate load bearing capability and minimal site disturbance are all features that make this well evolved foundation technology highly popular among construction professionals, and every bit as attractive as a foundation solution as they were when introduced nearly 200 years ago.